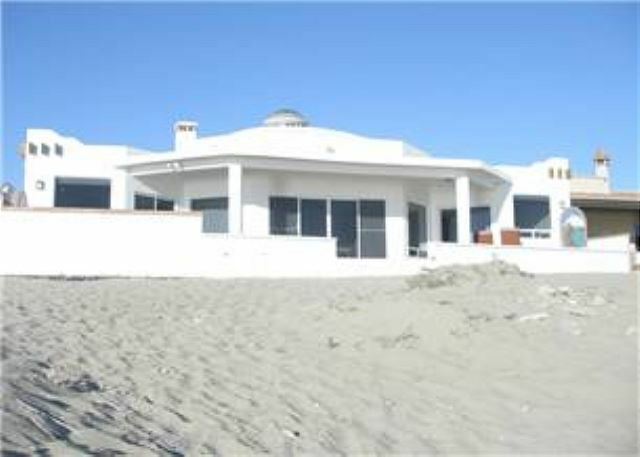 Bella Mareas is a newly built stunning beachfront home with remarkable views of the Sea of Cortez. 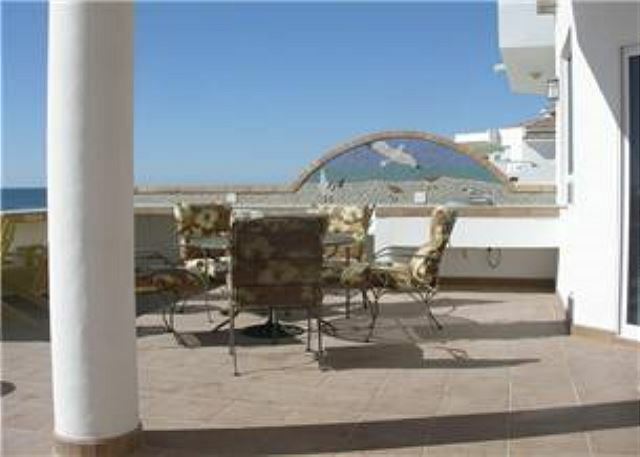 It is located in the gated community of Las Conchas, in the subdivision Las Mareas. 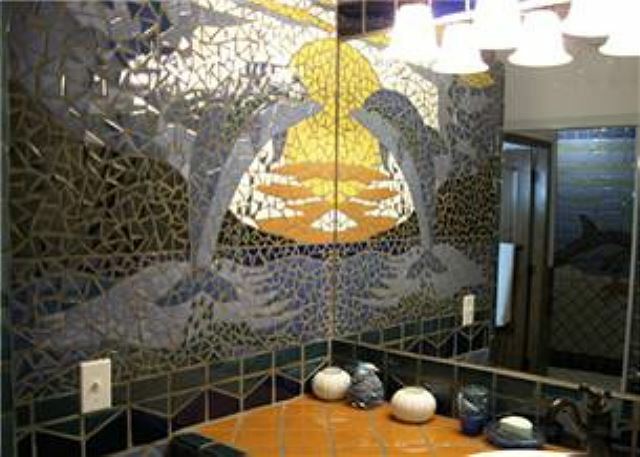 This single story luxurious beach house has all the amenities. 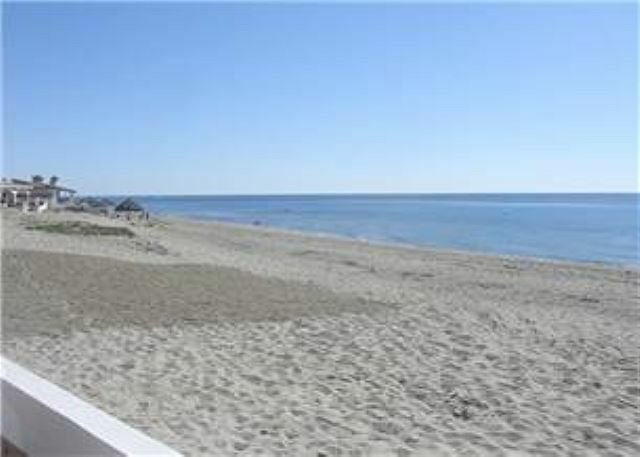 4 Large bedrooms, 2 with glorious beach views, patio access, and king sized beds. 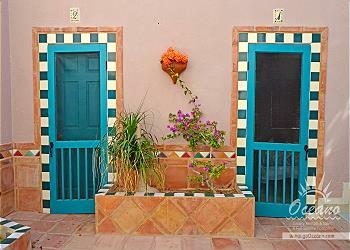 The 2 back bedrooms have queen-sized beds, one with its own private patio and beach access. 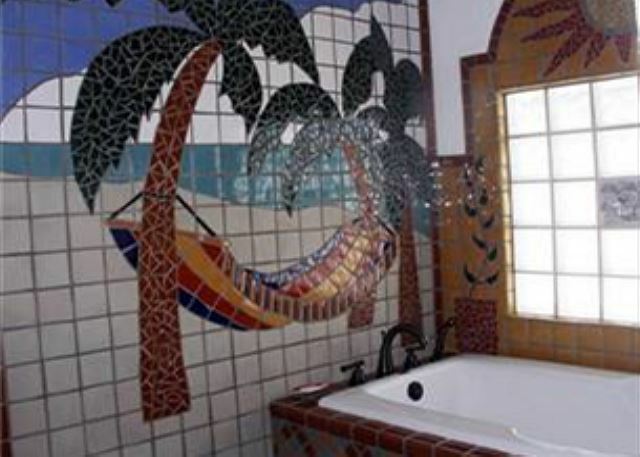 All the bedrooms have their own uniquely tiled bathrooms and one master also includes a built in bathtub. 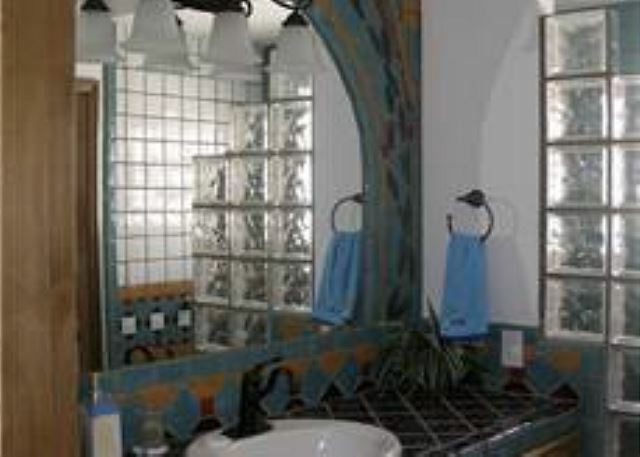 A half bath is located in the hallway for guests' use. 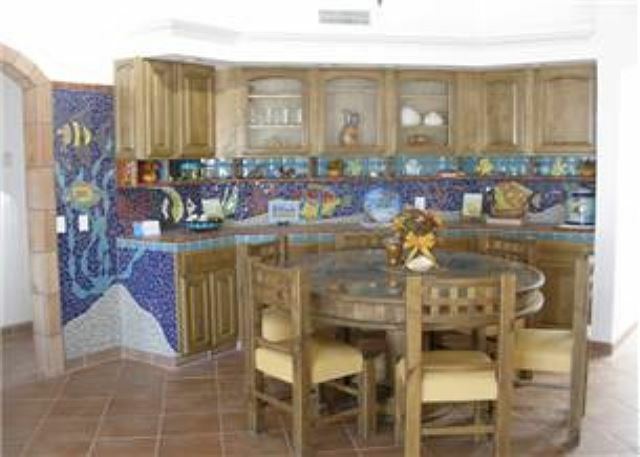 This lavish home has a fully equipped kitchen facing the Sea of Cortez. 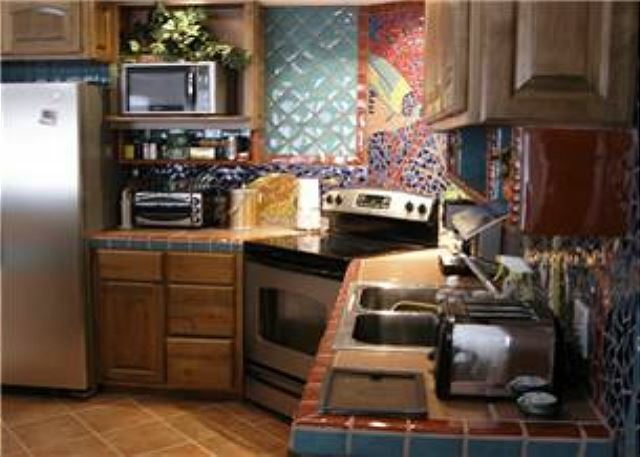 It includes a coffeemaker, kitchen utensils, microwave, dishwasher, stove/oven, and refrigerator. 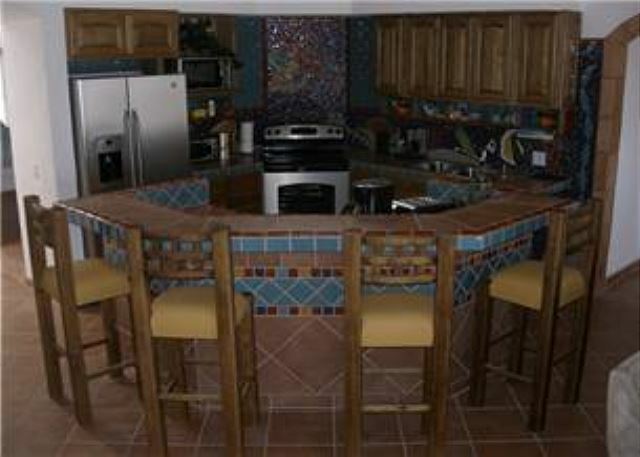 There is a breakfast bar that seats at least 4, plus a large round dinning room table, which can seat up to eight. Ceiling fans are located in every room. The home has both central air conditioning and heating. The family room is both spacious and comfortable with plenty of seating. 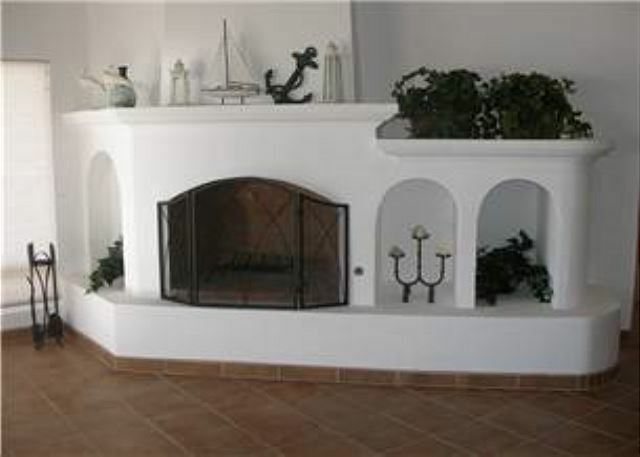 A beautiful wood-burning fireplace is available for use (bring your own wood). For the convenience of our guests, Wireless high speed Internet is available, as is the Dish Television Network on a 42-inch flat screen television free of charge. There is a DVD player (bring your own DVD's) and an IPOD doc available for use. A Vonage phone line allows for free calling to the and a second Mexican line allows for local calls only. 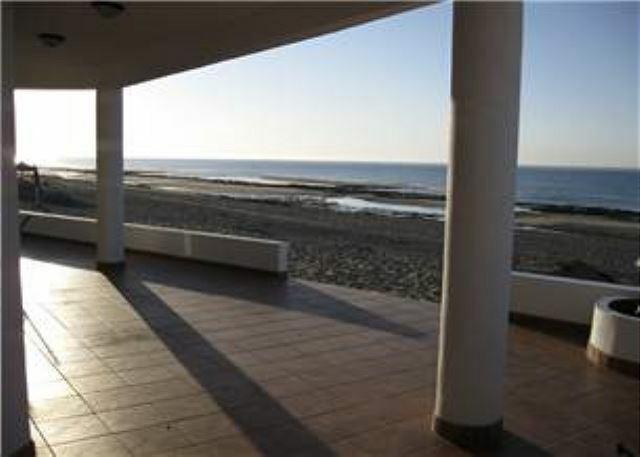 The covered beachfront patio has a charcoal barbeque (bring your own), a wood burning fire pit, and an outside shower. There is both patio furniture and beach chairs for guests use. The house includes a spacious 4-car garage and is located at the end of a cul de sac. Sheets and bath towels are provided, as are garbage bags and toilet paper. No smoking Inside and No Pets . 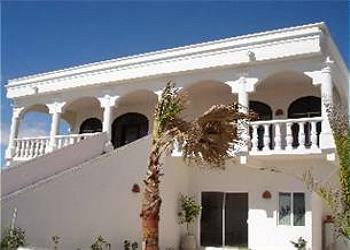 Sleeps 8 but others may be permitted, as there are also 2 queen airbeds that can be utilized if needed. 2-night minimum stay during the week and 3-night minimum stay during weekends on March April May, June, October and on holidays. 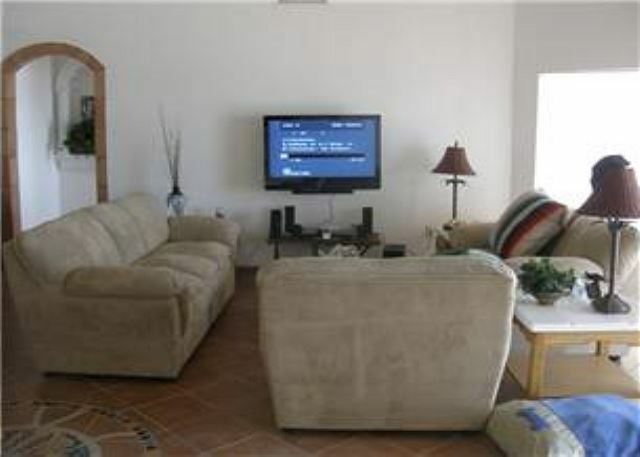 All times are negotiable with owner permission through Oceano Rentals.